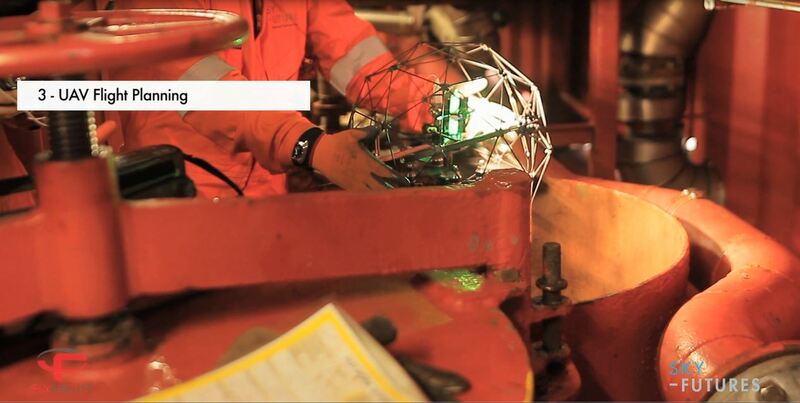 Developed by Shell in the early 1990’s AUBT is a more reliable method for detecting and quantifying damage from high temperature hydrogen attack (HTHA). The technique uses conventional UT probes and a digital oscilloscope to provide both an A-Scan display and frequency analysis. Variables such as the ID surface condition, geometry and other internal defects have little effect on AUBT measurements. The method is consistent and reliable so monitoring of hydrogen attack and its progression over time provides meaningful information. AUBT procedures cover both the parent material and welds (HAZ). The AUBT technique was developed because conventional UT techniques do not detect micro-fissuring and older methods such as attenuation measurement proved unreliable in the field. AUBT incorporates ultrasonic backscatter detection with velocity measurement and spectral analysis. The backscatter technique is applicable to materials of any geometry with or without cladding. It is primarily used to determine damage progression through the wall. 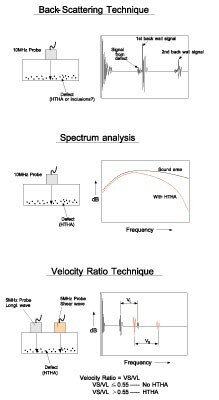 Spectrum analysis helps determine the degree of HTHA, is sensitive to fissures and is independent of the measurement system. The velocity ratio measurement differentiates between fissures and other internal defects. It is not affected by material geometry, back wall surface condition, or the measuring system.